It won't. Jason DeMarco himself said he wasn't interested in putting it on there. And didn't Toonami used to be on Cartoon Network? I thought it was just a programming block of theirs. When did it become its own channel? Toonami only comes on late Saturday nights for about four hours. It is during [adult swim] and is not its own channel but part of CN. If CN passed it over, it won't be on Toonami. A shame too considering SWAT Kats was one of the toons that aired in Toonami in its early days. Felony wrote: Toonami only comes on late Saturday nights for about four hours. It is during [adult swim] and is not its own channel but part of CN. If CN passed it over, it won't be on Toonami. A shame too considering SWAT Kats was one of the toons that aired in Toonami in its early days. AS is considered a separate network, albeit with the same channel number as CN. And I though SWAT Kats only aired on Toonami in Thailand? Kooshmeister: I think he just isn't a big fan of the show. I won't fault him for that; Toonami is his thing and not wanting it is reasonable IMO. Yes: I do know that "the customer is always right" is a thing, but Toonami is popular in spite of SWAT Kats not being there. Edit: also, please don't pester Jason DeMarco about it. Or ask me to pester him for that matter. Rusakov wrote: And I though SWAT Kats only aired on Toonami in Thailand. I could've sworn the SWAT Kats were on Toonami in the early days of the block. I remember I usually got home from university just in time to watch it and Sailor Moon as I wasn't far from campus at the time. 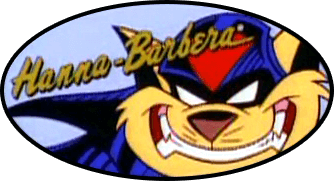 After checking old schedules, I discovered that SWAT Kats aired right before Toonami in '98. Moops! That was almost 20 years ago and my memory had muddled that up it seems. SWAT Kats came on before Sailor Moon, but it was Sailor Moon that began the Toonami block. On another note, I do miss Moltar. Never did warm up to TOM. The placements in the promo and the way the graphics are set look legit, but don't know for 100%. I don't know if that's real, but here's the music used! I miss the use of Joe Boyd Vigil's music on Toonami.